..yet knowing a resource at all our fingertips was needed. in 2015 I published the first edition of this which was viewed by hundreds before Hurricane Joaquin fizzled out. With Irma approaching, and another storm right behind (update:now named Jose, and a third, Katia off Mexico), and while we still have much time to prepare, this info doesn’t do anyone any good sitting on my laptop. bookmark this page so you have it IF you need it – it will be updated as often as possible. This is not exhaustive, I hope you will contribute your information and if you have info to share please click here to contact us so we can update this post. If evacuation is declared, there will be a steady wail of the fire department sirens. About 3 minutes long. Plus every half hour as necessary. 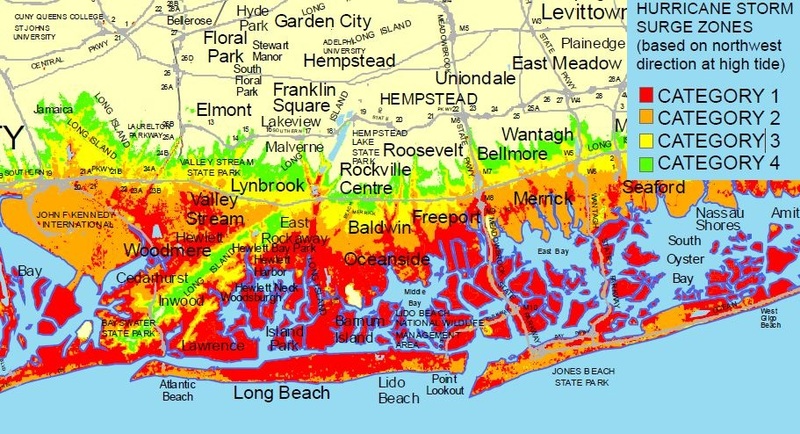 If evacuating- Everything south of Sunrise Highway will be evacuated and we have to go through it to get out. Shelters- no pets. Make a plan. Fire and Police Departments will stop going out at 45 mph winds for safety. Hit up family members who have been coming to the beach to reserve your shelter needs now. Secure your house and property. Put everything away -prevent your garbage cans and lawn furniture from crashing in your neighbors picture window. Meet with your family and discuss how your family will respond to each possible emergency. Know how to contact all family members at all times. Think 24/7 + 365. Select two places to meet: a spot outside your home for an emergency such as fire, and a place away from your neighborhood in case you cannot return home. French press coffee maker and proper coffee grinds- it really will be a disaster if I gotta deal with one, and cant get a cuppa! Important family documents such as copies of insurance policies, identification and bank account records in a waterproof, portable container. You can use the Emergency Financial First Aid Kit – EFFAK (PDF – 977Kb) https://www.fema.gov/media-library-data/1441313659995-38b0760a58131b871d494ddacbf52b6e/EFFAK_2015_508_enabled.pdfdeveloped by Operation Hope, FEMA and Citizen Corps to help you organize your information. Create a survival kit for your pet – ID collar/ rabies tag/ carrier/ Leash/ medications/ papers & trash bags/ bowls/ food/ water/ Vet records. Thanks to LBCOAD for extra links. Tracking breaking weather on your #mobile device? You MUST have a personal back-up communication system in place, so you want to have methods that have overlapping means of reaching you and you reaching out. Create a redundancy. so what if you temporarily get too many alerts? If phone calls aren’t working, maybe you can still get texts and internet. If you don’t get texts, or they aren’t working too, you want to have internet backup so that in case you find internet access, you will then be able to get and send your communications. You want to set up a redundant system so if there is any possibility to, you can still communicate. Set up group texts with everyone in your group. This is not facebook messenger, this is SMS and texts between phone numbers! THEN have each member join with an additional text number that they can be reached at. You can get free texting and / or internet phone with the following FREE apps (theres others, but free gets everyone in your group involved.) This way you now have Internet backup in case regular phone texting isn’t working and many of these are checkable by computer, not just phone. Be prepared and download the FEMA app for free on the App Store and Google Play. Learn what to do before, during, and after emergencies with safety tips & receive weather alerts from the National Weather Service for up to five different locations anywhere in the United States. Nearly half a million Americans already have the FEMA app. Be ready for severe weather with Hurricane by American Red Cross – A hurricane tracker app available for iPhone and Android. Monitor conditions in your area or throughout the storm track, prepare your family and home, find help and let others know you are safe even if the power is out – a must have for anyone who lives in an area where a hurricane may strike or has loved ones who do. From your mobile phone, call “**REDCROSS” (**73327677) and we will send you a link to download the hurricane tracking app to your iPhone or Android device or you can download them directly from the iTunes or Google Play app stores. set up a Facebook Group for your friends and family with email or (preferably) text notifications for every post. This is when someone posts, all are notified of the post via another means BEYOND facebook. If you cant get the internet to see facebook, you may still receive texts, so you will still get and post the information. You did all that? Good! Now consider those who need a little extra help during emergencies and make a plan to help them, maybe even do it with them!!! please call 800-490-0075 or 631-755-6900 for downed wires, poles and power outages. LIPA / PSEG LI notifications: Register your cell phone so that you can keep on top of power outage & restoration updates! If you lose power, be sure to unplug your electronics from the wall so they do not get damaged in a possible power surge. what else am i missing??? Project Hope comes to Lido Beach and Point Lookout. When Point Lookout Fire Chief Chas Thompson spoke at this weeks Civic Association meeting he introduced a new program available to all residents of Lido Beach and Point Lookout. For many, the months after Sandy have become a time to seek support in the effort to move forward and work through the overwhelming task of rebuilding their lives. Project Hope, a community-based, neighbor-to-neighbor support system, helps individuals move forward in several ways. Primarily, crisis counselors offer free and confidential support that helps people process their emotional and physical reactions. From the strain of dealing with logistical issues and financial and legal complications to the sheer loss of belongings, crisis counselors listen and help you sort through and cope with your feelings. 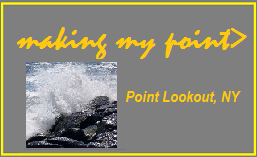 It is being presented through the Point Lookout, Lido Dunes and Lido Homes Civic Associations. He described the situation firemen face as they deal with tragedies and the necessity to seek help in the wake of them. He knows that residents may be feeling some of the same, as they deal with problems of all kinds related to life after Sandy. “We had the hurricane” and dealt with the immediate aftermath, “and now we’re in it for the long haul”. The Chief knows what it’s like, he’s been displaced himself, and is facing the reality of possibly knocking his house down and rebuilding to accommodate the FEMA height requirement. Right now, he is looking at not being able to go home until the fall. He wants to make sure word gets out to make the project is a success for residents. “It’s already working in Long Beach and Island Park and we want to try it here. This is something that anyone can come down and find other people who are sharing the same experiences,” he said. “Statistics say people get down in February and March anyway.” With the longer-term realities of dealing with the disaster coinciding with that, possibly getting to residents, now is the time to bring it here. 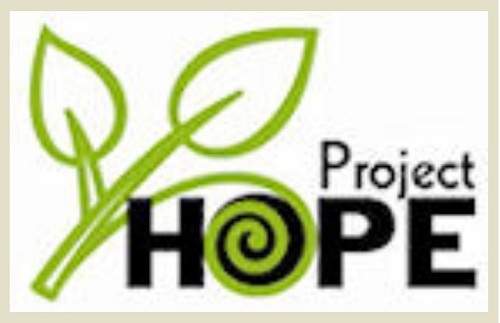 You can find out more about Project Hope by clicking here! “I think it’s a good thing for the community” Chief Thompson said. Please share this with your friends and neighbors to help get word out. Councilman Santino, Assemblyman Curran to Hold Community Forum for Residents Affected by Sandy on February 28 in Oceanside. Sandy’s floodwaters have long since receded, but the Superstorm has left many residents with a long list of post-hurricane questions. To help answer those questions and provide important information, Hempstead Town Senior Councilman Anthony Santino and New York State Assemblyman Brian Curran will be leading a Community Forum and Flood Recovery Meeting on Thursday, February 28, 2013 at 7 p.m. at Oceanside High School in Oceanside. Councilman Santino and Assemblyman Curran will be joined by representatives from the Federal Emergency Management Agency (FEMA), the National Flood Insurance Program, the New York State Department of Financial Services and the Town of Hempstead Building Department. These organizations will provide detailed information pertaining to storm damage, insurance reimbursement and rebuilding, among other issues. Councilman Santino, in partnership with Supervisor Kate Murray, has held several community meetings in Oceanside and in the surrounding area for residents affected by Hurricane Sandy. What’s more, the town Building Department is waiving all permit fees for “in-kind” storm-related structural repairs and temporary housing trailers within the unincorporated areas of Hempstead Town. And, the town is waiving building variance requirements for residents (within unincorporated areas of the township) who want to rebuild their homes at higher elevations to meet FEMA flood standards. Oceanside High School is located at 3160 Skillman Avenue in Oceanside.